In partnership with Printer Cartridge Recycling Ltd a leading recycling company, we have developed a scheme to turn your empty inkjet cartridges into valuable funds to help continue our work. 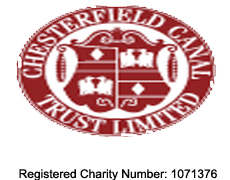 If you would like to help raise funds for Chesterfield Canal Trust whilst at the same time reducing the amount of waste consigned to landfill please use the contact us below. If your items are eligible, please call us on 0333 323 7677 or fill in the contact us form below and we will ensure that your items are recycled on behalf of your chosen charity. Once your free collection is arranged we will send you packing and further instruction. All proceeds go to Chesterfield Canal Trust.